DUBAI - Something you hear frequently if you are a clean tech aficionado is that excess solar and wind power can be used to split water into oxygen and hydrogen. 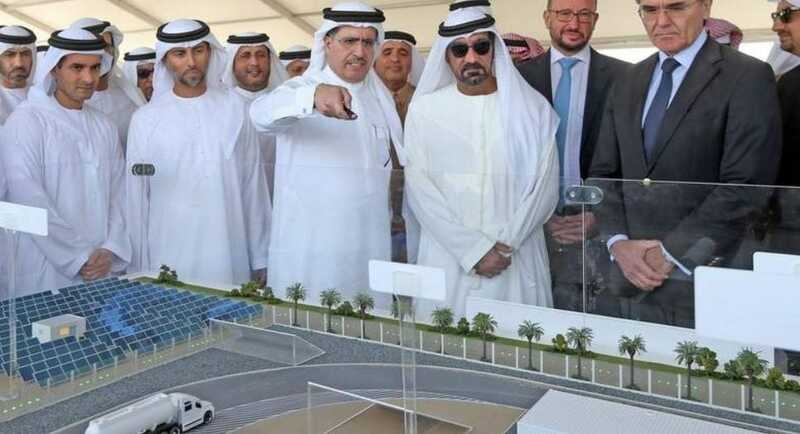 The Dubai Supreme Council of Energy, the 2020 Dubai Higher Committee and the Dubai Electricity and Water Authority broke ground in early February on a solar power hydrogen electrolysis facility located in the Mohammed Bin Rashid Al Maktoum Solar Park. Sheikh Ahmed bin Saeed Al Maktoum, chairman of the Dubai Supreme Council of Energy and chairman of the Expo 2020 Dubai Higher Committee, participated in the groundbreaking ceremony, according to a report by Khaleej Times. Saeed Mohammed Al Tayer, CEO of DEWA, said at the groundbreaking ceremony the project is important to understanding the limits of green hydrogen technology and how it can contribute to the UAE’s vision of clean energy. “This pioneering project is a role model for strategic partnerships between the public and private sectors. It will contribute to developing the green economy concept in the UAE and explore the potential of green hydrogen technology. The hydrogen produced at the facility will be stored and deployed for re-electrification, transportation and other uses.